Tiny disclaimer, I did get Phoenix Oolong for free via the DavidsTea Frequent Steeper program as one of my redemptions for the quarter (who else is happy that they removed the price cap on the redemption teas?!). Phoenix Oolong is a limited edition, online exclusive – which means that the tea is available online only and isn’t available at their retail locations, which is really unfortunate for anyone who just wants to try to tea because it means buying the full 50g or using a redemption on a tea that they might not like. Phoenix Oolong came in a sealed, resealable foil bag with a printed label on it that gives some details about the tea. Phoenix Oolong is described by DavidsTea as having “fragrant lychee & plum” notes. When I opened the bag, I noted that the leaves are a dark, almost purpley-brown colour. The aroma of the dry leaf does remind me of a stone fruits, and it has a nice sweet floral fragrance that reminds me of lychee. 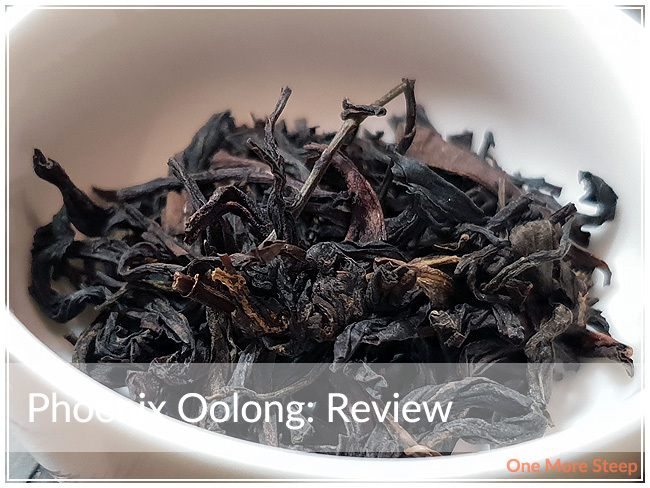 Phoenix Oolong is a straight oolong tea from Phoenix Mountain in Guangdong Province, China. Phoenix Mountain is also known as Fenghuangshan (fenghuang is phoenix and shan is mountain). 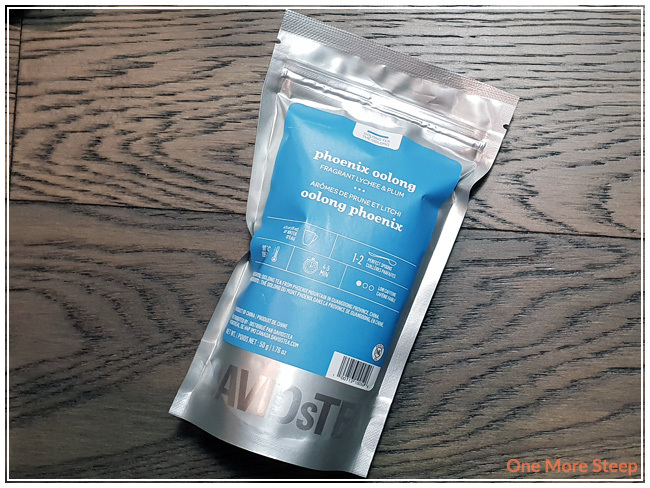 DavidsTea recommends steeping Phoenix Oolong in 90°C (195°F) water for 4 to 5 minutes. My initial steep was for 4 minutes. 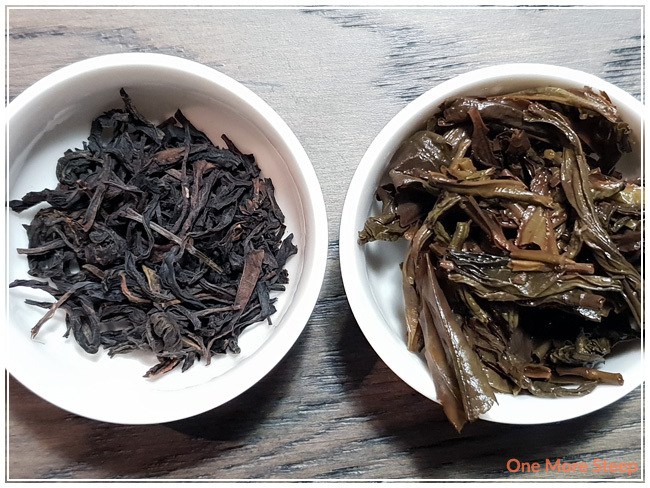 Phoenix Oolong steeps to a bright golden yellow with the initial steep. The aroma is a mix of fruity and floral, I find that the aroma of stone fruits (plum, apricots, peaches) is more prominent than the floral notes that I found in the dry leaf, although it is still present. 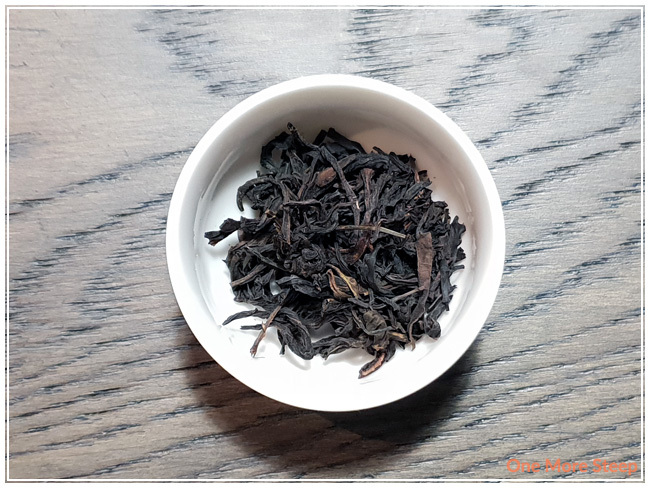 The flavour is both fruity and floral in this straight oolong, I found that I can initial taste the plum notes, although part of it also reminds me of apricots. The floral sweetness is mostly at the end of each sip, and it mixes well with the fruity flavour to remind me of lychee. With a four minute steep, I found there to be zero bitterness or astringency. The tea has a bit of a thickened mouthfeel to it, which I found pleasant overall. I resteeped Phoenix Oolong eight times (nine steeps total), adding an extra 30 seconds for each subsequent steep. I found that the colour was darker for the first two resteeps and gradually became lighter and lighter. The floral notes got stronger as the colour deepened. By the third resteep, it was very well balanced between the floral and fruity notes, and it was delicious. I loved DavidsTea’s Phoenix Oolong. I’m pleasantly surprised and very happy that I did use one of my Frequent Steeper rewards on this. 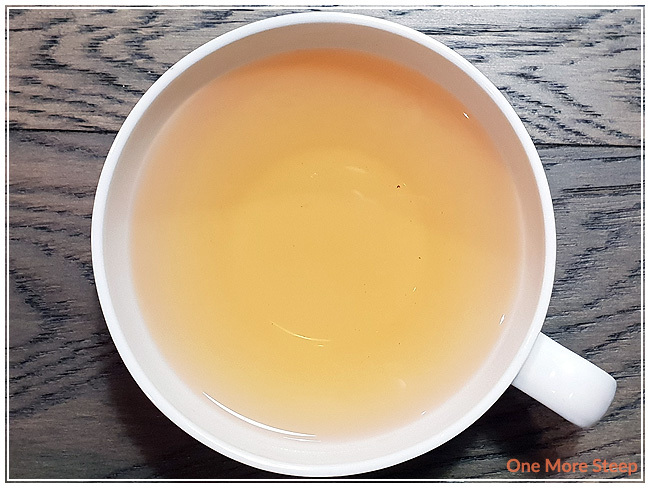 The oolong tastes great, I found the flavour to be fairly consistent throughout and really matched well with what DavidsTea had as the description. The leaves resteep remarkably well, and I think it’s definitely a must for resteeping over and over again. Yes, I do think that the tea is expensive for what it is, but given the quality (resteeping is a MUST for these leaves), it’s delicious and is just a very pleasant oolong. I think it’s definitely worth a try if you have the money in your tea budget or if you have a reward to use and you’re going to put in an online order anyways!